“Pipe burst, water damage, wood floor restoration.” Those phrases are about all that I recall the plumber and the water damage restoration company telling me. My house is only 5 years old, and as such, water damage is something you shouldn’t hear. What happened is a pipe that connects to the dishwasher burst while I was at work and so the water had 6 hours to go and do anything it wanted to in my house. And unfortunately that consisted of severe water damage to my wood floors, cabinets, and carpeting. After trying unsuccessfully to pump the water out myself I broke down and called a plumber that offered same day service, small extra fee, and a local company specializing in restoration services. All told, from the first day the water damage occurred until full restoration, was 2 weeks. It was quite an ordeal, and I’m so thankful it is over. 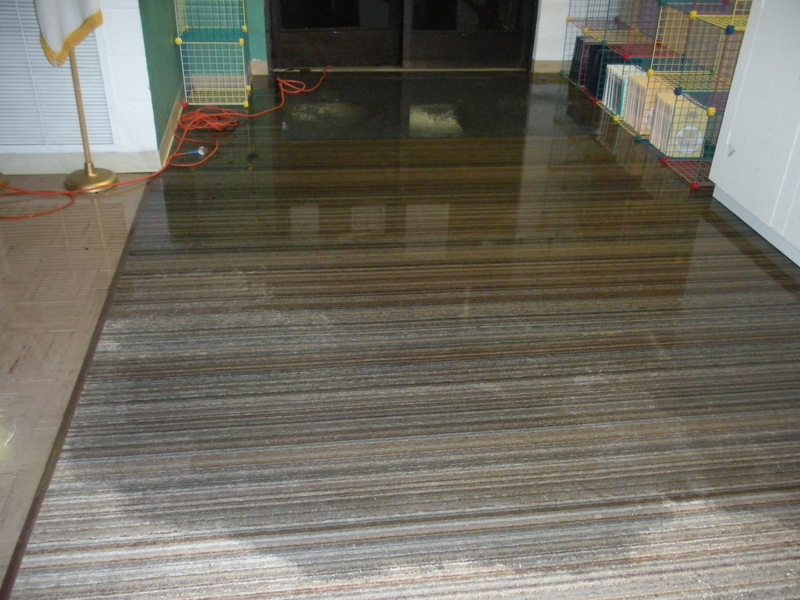 Water damage is something you don’t want to play around with, as mold can occur. The best thing you can do upon discovering ANY plumbing leaks is to get a professional out ASAP as you may save yourself a few bucks if you can catch any water damage early before it spreads!